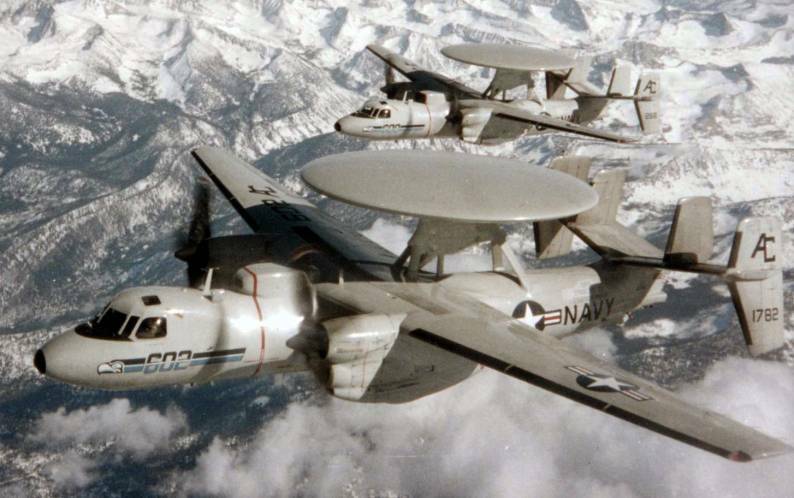 Carrier Airborne Early Warning Squadron ONE TWO SIX (VAW-126), nicknamed the SEAHAWKS, is an integral part of the tactical air forces of the United States Navy. 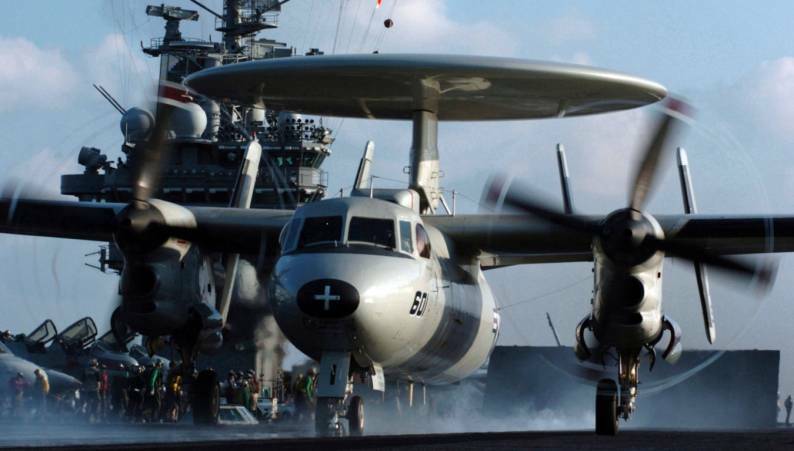 VAW-126 is one of six Carrier Airborne Early Warning Squadrons based in Norfolk. 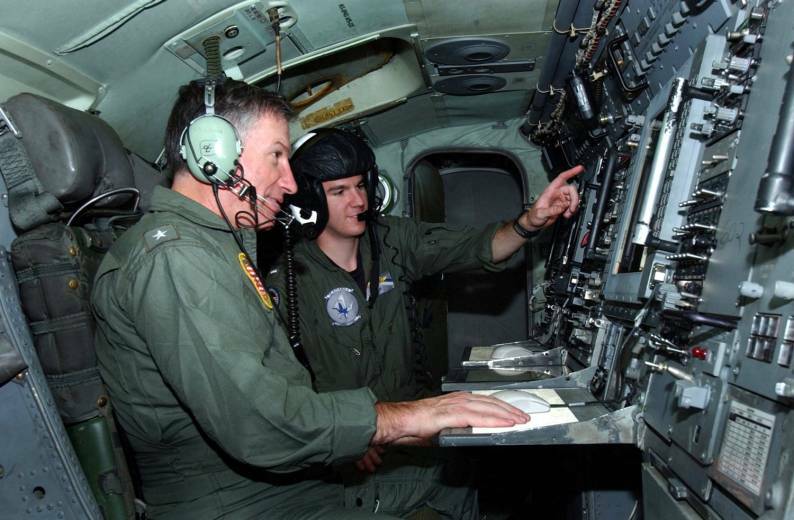 Equipped with four E-2C Group II aircraft, the squadron's primary mission is airborne command and control in support of Joint Warfare Commanders. 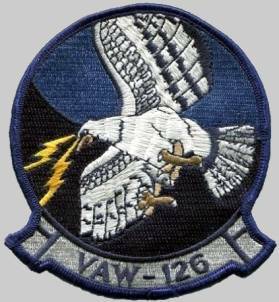 VAW-126 implements command and control through diverse operations such as air intercept control, strike control, surface search and coordination, search and rescue coordination, and airborne battlefield command and control. 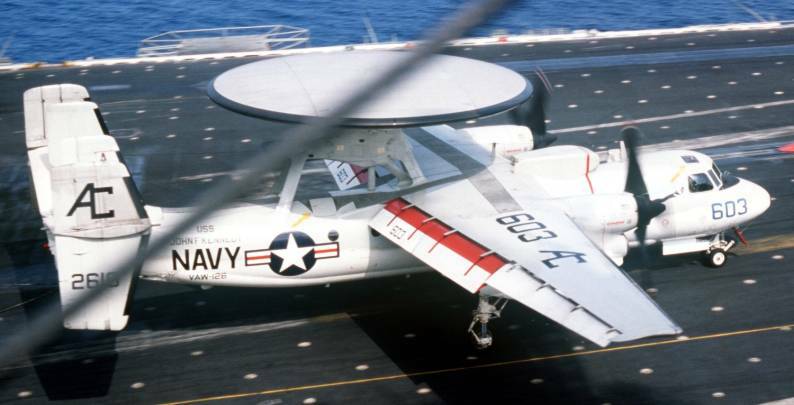 VAW-126 was commissioned in Norfolk, Virginia on April 1st, 1969. 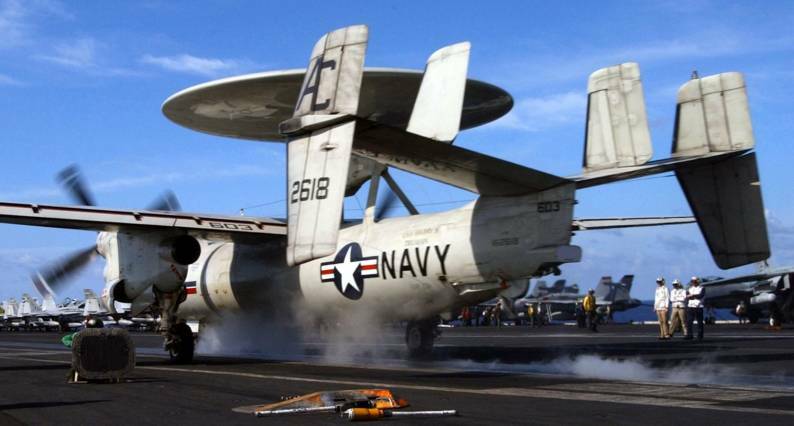 Equipped with four E-2A Hawkeye aircraft, the squadron was assigned to Attack Carrier Air Wing SEVENTEEN (CVW-17) assigned to USS FORRESTAL (CV 59). 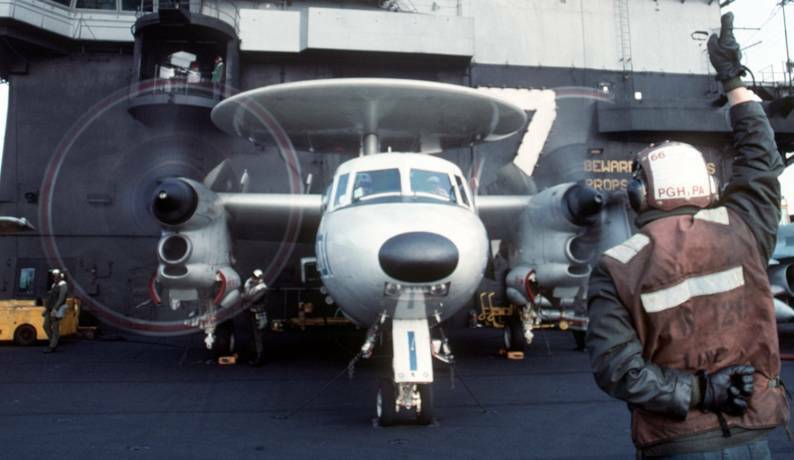 Following completion of their first deployment in July 1970, the squadron transitioned to the E-2B. This was a newer version of the same aircraft, equipped with a more flexible, digital computer weapons system. 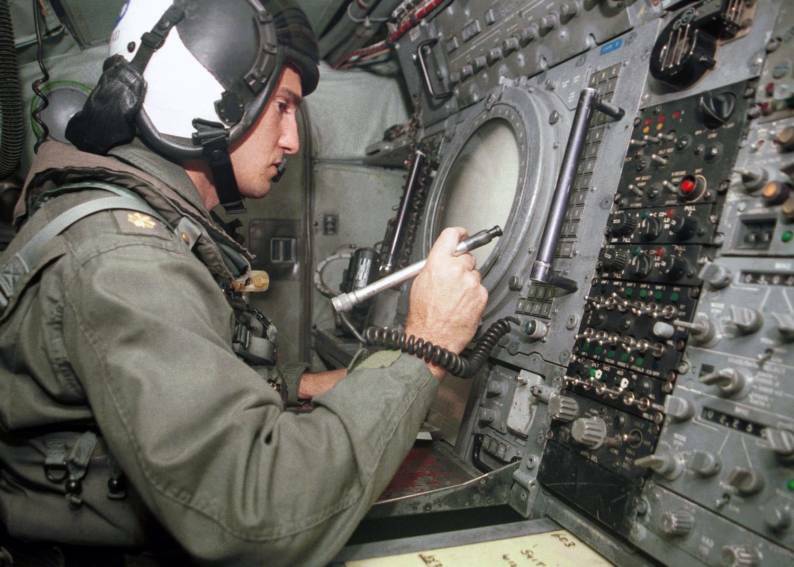 The command received accolades early in its history, winning the highly coveted COMNAVAIRLANT Battle Readiness Efficiency "E" and the CNO Safety “S” Award in 1971. The squadron won the Battle "E" a second time in 1974. 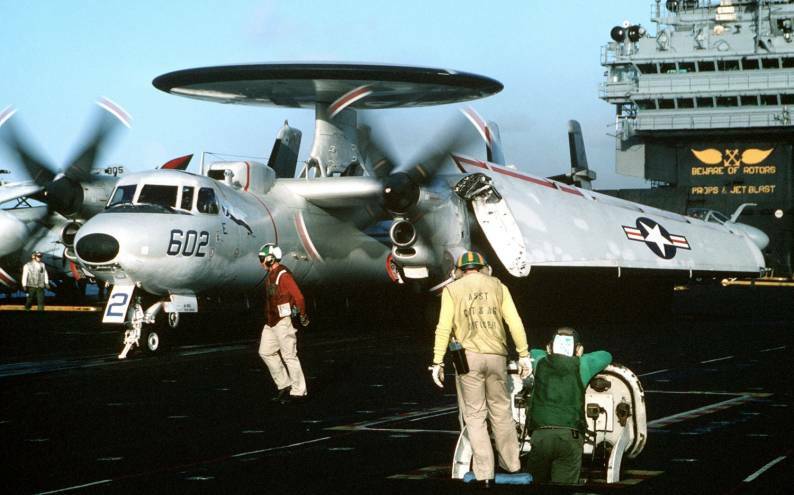 While homeward bound from a Mediterranean deployment in September 1974, the squadron performed a crossdeck to USS AMERICA (CV 66). 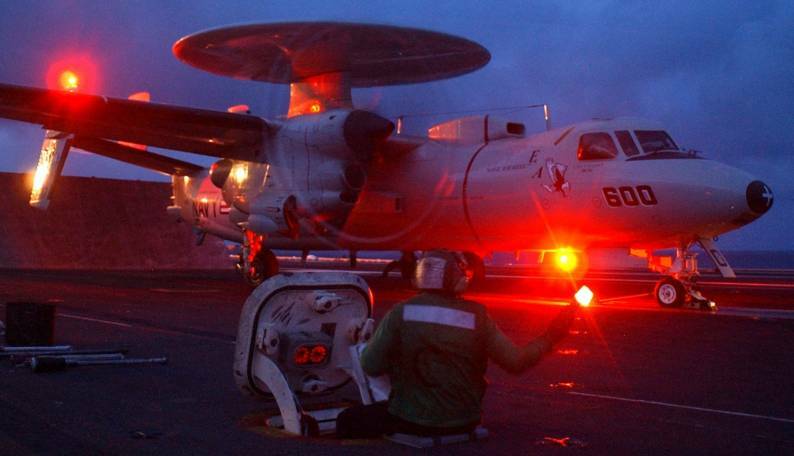 The NATO deployment marked VAW-126's final E-2B flying as well. 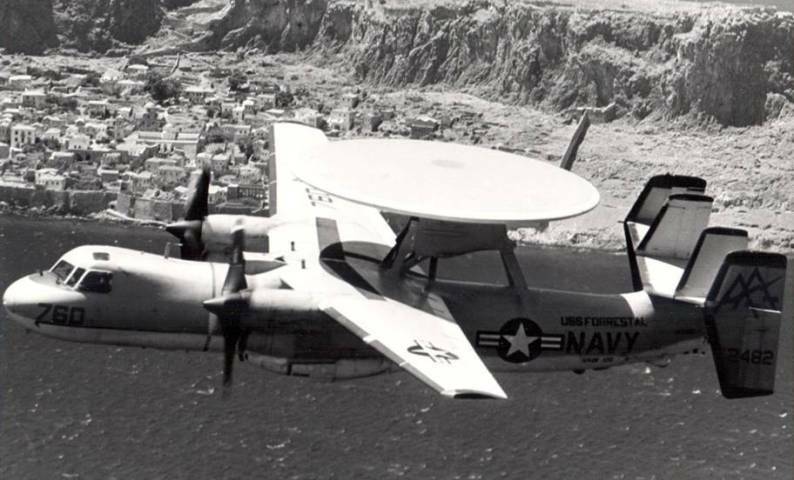 Following their return to Norfolk in October 1974, the squadron began its transition to the E-2C, Group 0 variant; an aircraft similar in appearance to its predecessor, but with a significantly more capable and reliable weapon system. 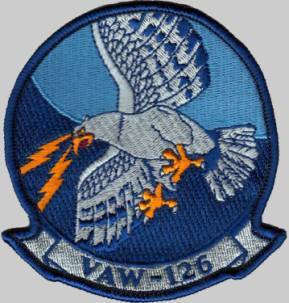 In August 1975, the squadron commenced operations in the Caribbean Sea with CVW-9, based at NAS Miramar, California. In May 1976, they began the first of many trips moving the entire squadron back and forth between Norfolk and Miramar to operate with CVW-9 and prepare for their upcoming deployment aboard USS CONSTELLATION (CV 64). The squadron made two Western Pacific deployments with USS CONSTELLATION, their final one was in May 1978. The SEAHAWKS joined USS JOHN F. KENNEDY (CV 67) and CVW-1 upon returning to the East coast in 1979. In August 1980 the SEAHAWKS would once again find themselves in the Mediterranean Sea for an eight month deployment. 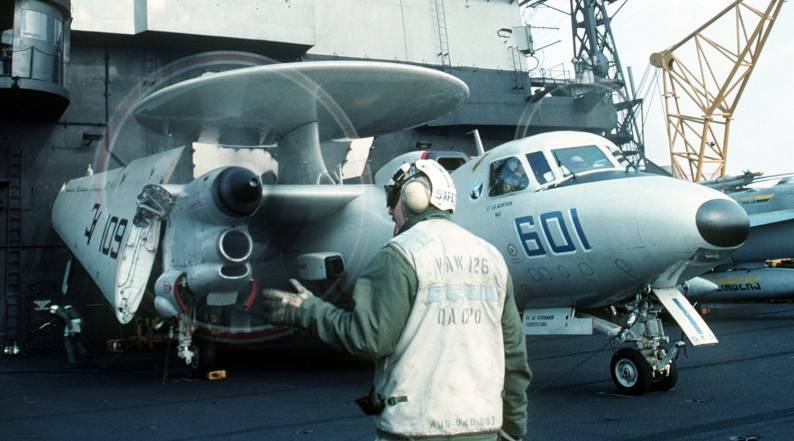 In July 1981, VAW-126 joined CVW-3, which replaced CVW-1 as the air wing deployed aboard USS JOHN F. KENNEDY (CV 67). As a result of their superior performance on their 1983-84 deployment they would receive the 1983 Battle "E". 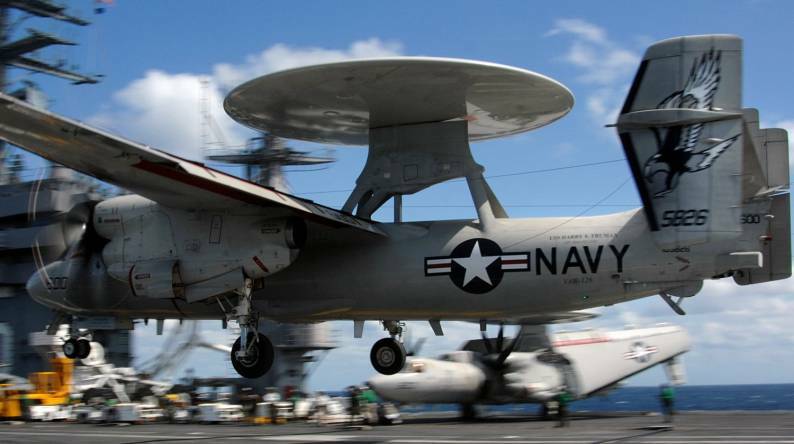 In addition, the SEAHAWKS received the COMNAVAIRLANT "Silver Anchor" award for superior retention and the Airborne Early Warning Excellence Award as the best VAW squadron in the Navy. The SEAHAWKS departed for the Mediterranean aboard USS JOHN F. KENNEDY (CV 67) a second time in August 1986. Upon their return in March 1987, the SEAHAWKS kept active by participating in a variety of exercises. By November 1987 the squadron was back aboard USS JOHN F. KENNEDY (CV 67) in preparation for their next deployment. 1988 proved to be another outstanding year for the SEAHAWKS. 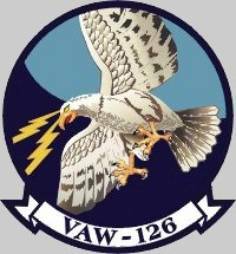 They once again were awarded the COMNAVAIRLANT Battle "E," Meritorious Unit Commendation, and won the CVW-3 and CAEWWING 12 nomination for the Secretary of Defense Maintenance Excellence Award. The SEAHAWKS departed on USS JOHN F. KENNEDY (CV 67) in August for its 4th deployment on board. The SEAHAWKS set sail for their final deployment attached to the USS JOHN F. KENNEDY STRIKE GROUP in August 1990 answering the call for Operation DESERT SHIELD and DESERT STORM. 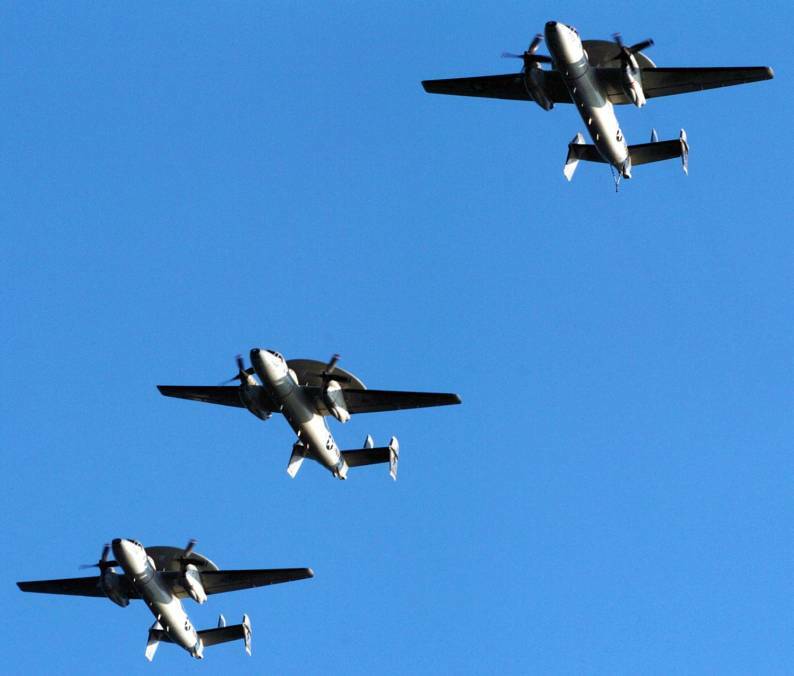 During this eight month deployment, the SEAHAWKS accumulated over 2850 flight hours. In late 1993, the CVW-3 team was reassigned to USS DWIGHT D EISENHOWER (CVN 69) and deployed to the Mediterranean Sea in October 1994. 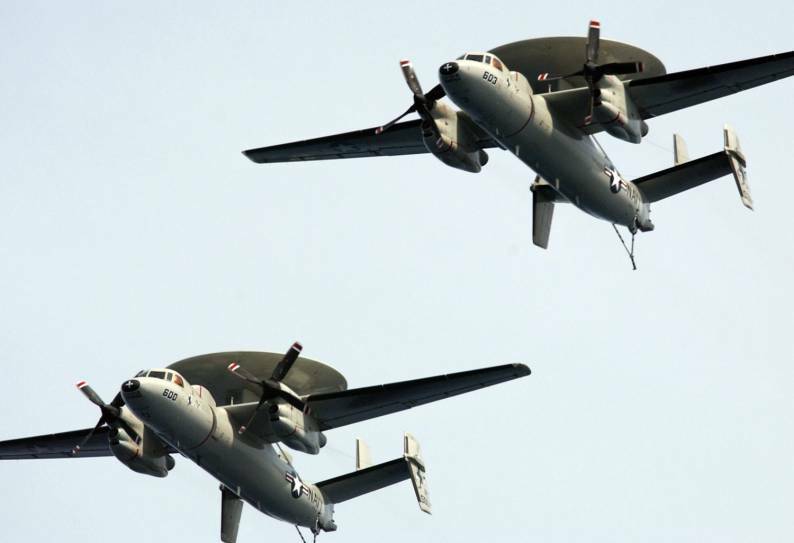 The SEAHAWKS were awarded the 1994 Battle 'E' and the Airborne Early Warning Excellence award. In late 1995, the CVW-3 team was once again reassigned, this time to USS THEODORE ROOSEVELT (CVN 71) BATTLE GROUP. 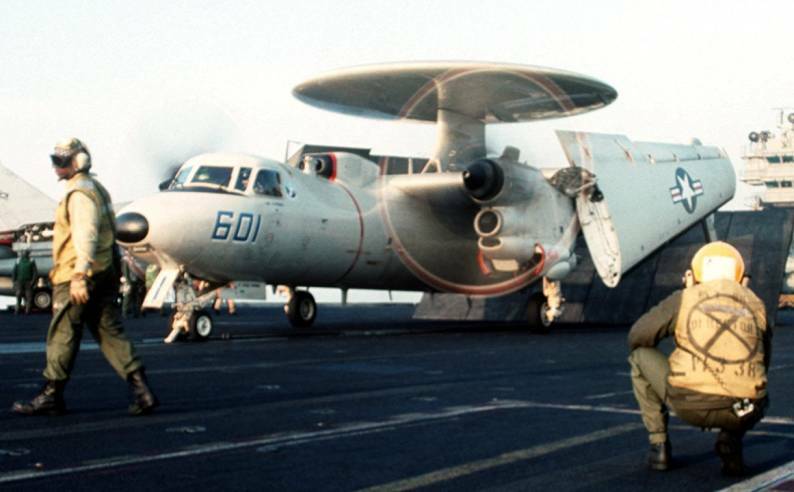 In November 1996, the SEAHAWKS deployed to the Mediterranean Sea in support of operations in Bosnia and the Adriatic Sea. While in the Adriatic the SEAHAWKS provided support of NATO air operations. 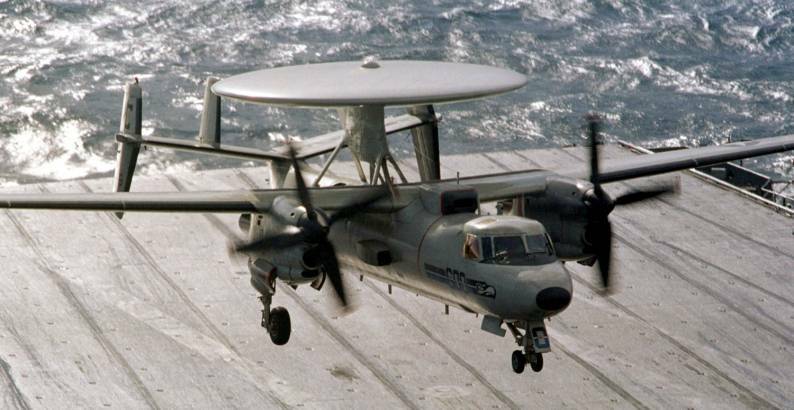 In November 1998, VAW-126 deployed aboard USS ENTERPRISE (CVN 65). In its first few months, the squadron participated in Arabian Gulf operations including Operations DESERT FOX and SOUTHERN WATCH. 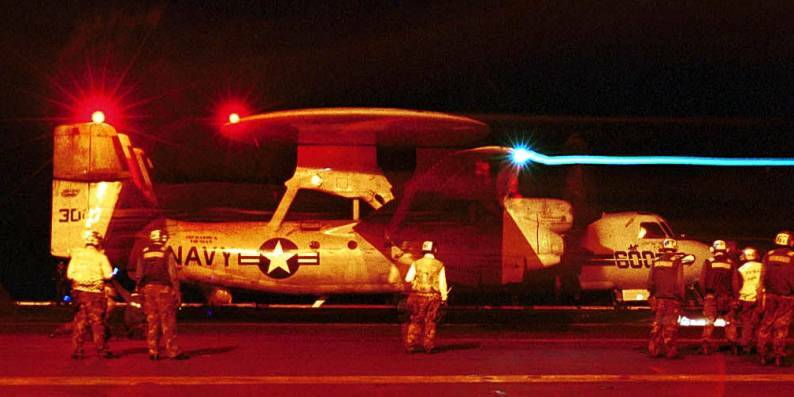 VAW-126 also participated in Juniper Stallion, INVITEX, and in Kosovo operations. The Carrier Battle Group wrapped up the deployment in the Arabian Gulf and returned home 6 May 1999. 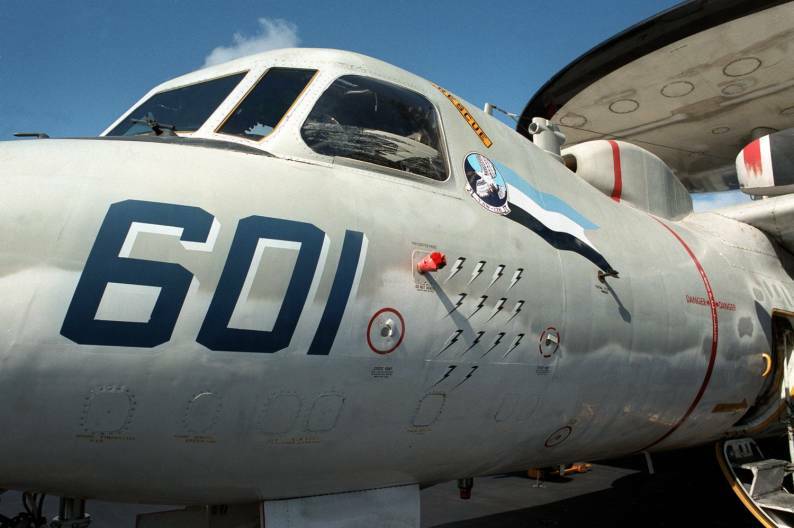 From July to September of 1999, VAW-126 participated in Counter-Narcotics operations, based out of Roosevelt Roads, Puerto Rico. The SEAHAWKS, in cooperation with Joint Interagency Task Force, monitored and detected illegal drug suspects in the Caribbean. After returning from Puerto Rico, VAW-126 assisted in search and rescue efforts to rescue Hurricane Floyd survivors in North Carolina. 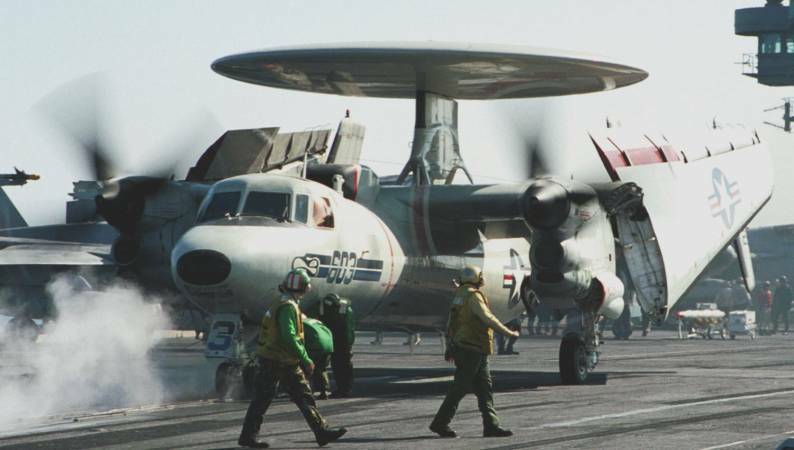 VAW-126 deployed onboard the Navy's newest aircraft carrier at the time, USS HARRY S. TRUMAN (CVN 75) from November 2000 to May 2001. Their time was spent in the Mediterranean and Arabian Seas flying over 850 flight hours in support of Operation SOUTHERN WATCH. The SEAHAWKS maintenance professionals earned two Golden Wrench Awards while deployed. Following deployment, the SEAHAWKS spent several weeks in Puerto Rico supporting counter-narcotic operations in the region. The SEAHAWKS deployed aboard USS HARRY S. TRUMAN (CVN 75) with CVW-3 in December 2002. Driving forward from a small corner of the Mediterranean, the SEAHAWKS flew 100 sorties and over 445 hours in support of Operation IRAQI FREEDOM. The SEAHAWKS returned home to Norfolk in May 2003. 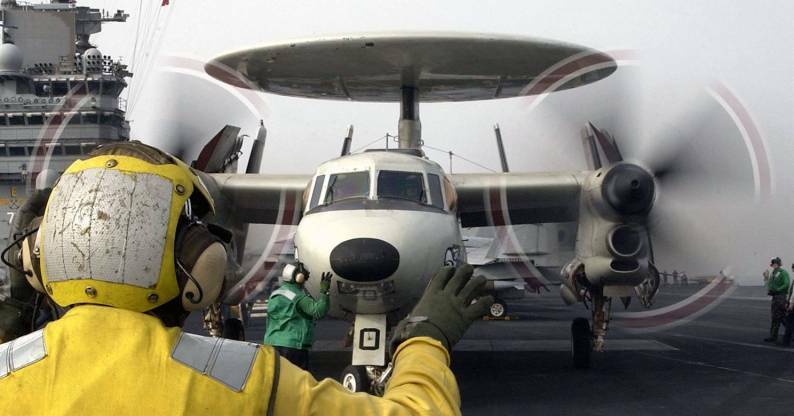 This would prove to be the last deployment for the E-2C Group 0 and the SEAHAWKS were the final squadron to transition to the E-2C+ Group II, ending an important era in Naval Aviation. 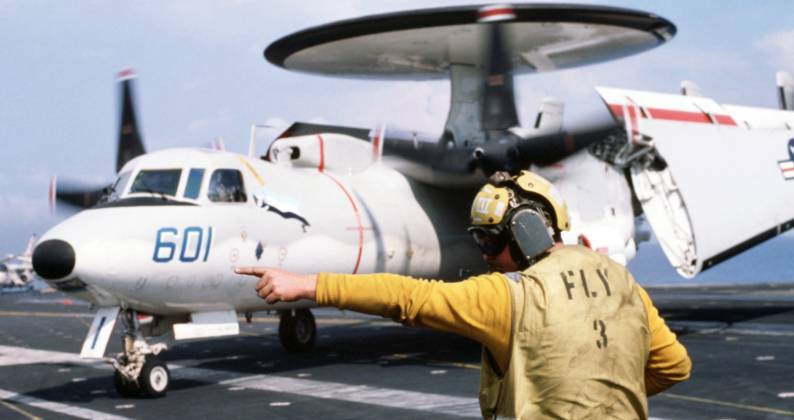 In recognition of the year’s accomplishments, VAW-126 was awarded the 2003 COMNAVAIRLANT Battle “E” as well as the 2003 RADM Frank Akers Award for Superior AEW Excellence. 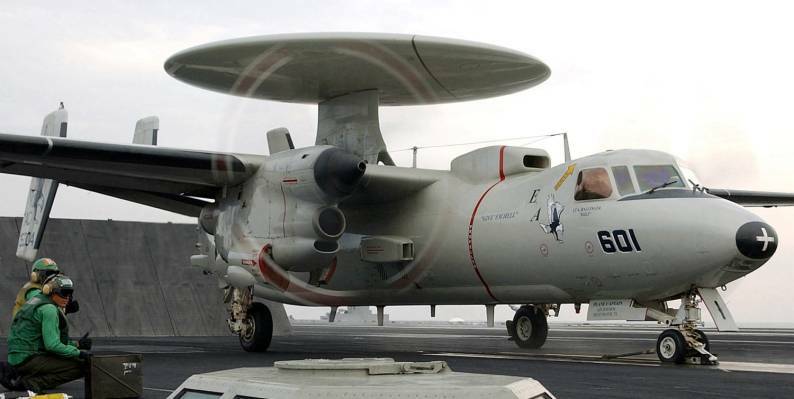 In October 2004, VAW-126 deployed aboard USS HARRY S. TRUMAN (CVN 75) to the Arabian Gulf. During this highly intensive combat cruise, the SEAHAWKS surpassed all previous records by flying 419 combat missions into Iraq, accumulating more than 2000 flight hours in support of Operation IRAQI FEEDOM. In December 2004, the squadron sent two aircraft from the Arabian Gulf to Afghanistan in support of Operation ENDURING FREEDOM for the inauguration of the first democratically elected president. The SEAHAWKS returned home in April 2005. In September 2005, the SEAHAWKS were called into service to perform rescue and relief operations in response to Hurricane Katrina. With over 150 aircraft operating over the devastated Gulf Coast at any given time, command and control was essential to rescue survivors and deliver much-needed supplies. 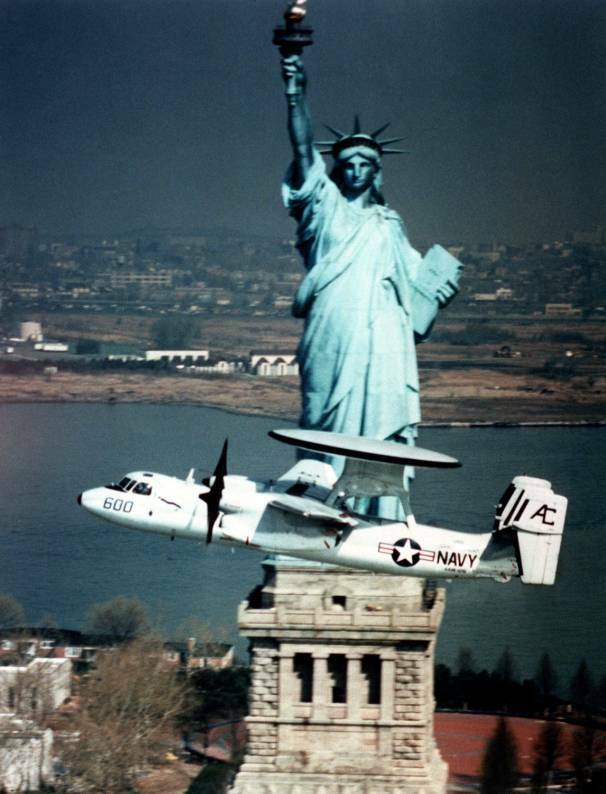 VAW-126 provided the air coordination, staging out of NAS PENSACOLA, FL, and flying more than 46 sorties over a period of 18 days. 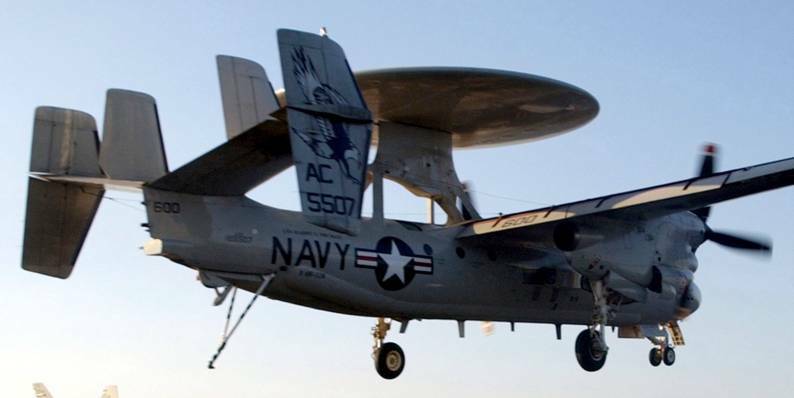 Entering 2006, the SEAHAWKS transitioned from the E-2C+ Group II aircraft to the E-2C Hawkeye 2000 (HE2K) platform. The new platform was soon tested in March when the Seahawks participated in a mini-SFARP (Strike Fighter Advanced Readiness Program) at NAS KEY WEST, FL. 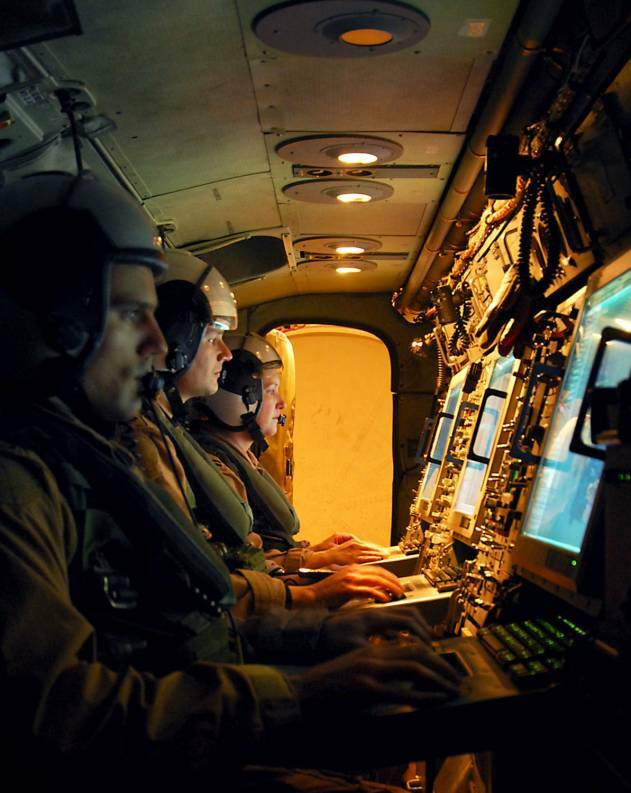 This exercise enabled the flight officers and pilots to familiarize themselves with the added capabilities of the HE2K in the air-to-air operational environment. 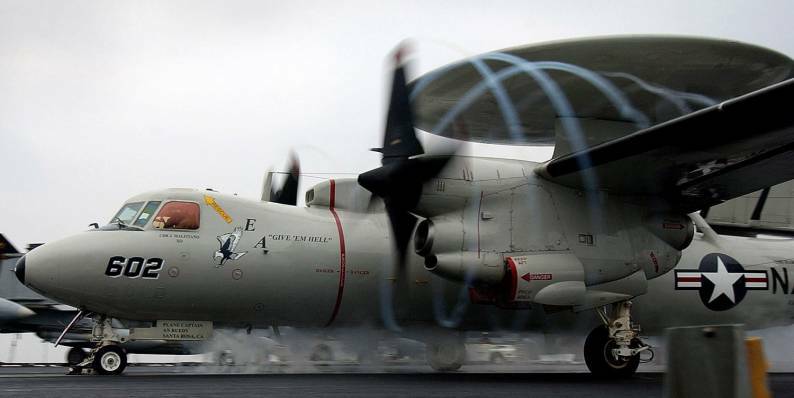 In March, the SEAHAWKS were informed that they were the recipients of both the CNAL Battle “E” Efficiency Award and the RADM Frank Akers “A” Award for AEW Excellence for CY 2005, effectively naming them as the finest Hawkeye squadron in naval aviation. On November 4th, 2007, the SEAHAWKS deployed onboard the USS HARRY S. TRUMAN (CVN 75), commencing flight operations in support of Operation IRAQI FREEDOM that December. The next four months included sustained operations over Iraq in support of Army, Marine Corps, and coalition personnel on the ground. In April 2008, increased insurgent activity in Basrah, Iraq, resulted in the SEAHAWKS flying additional combat missions, providing time sensitive command and control to coalition forces allowed them to secure the city and ultimately defeat the uprising. The SEAHAWKS’ Cooperative Engagement Capability (CEC) capability provided the strike group commander a Single Integrated Air Picture (SIAP) extending as far north as Baghdad, Iraq. Combat operations ended for the squadron on April 29th and the strike group prepared for the long transit home, making final port visits to Rhodes, Greece, and Marseilles, France, along the way. 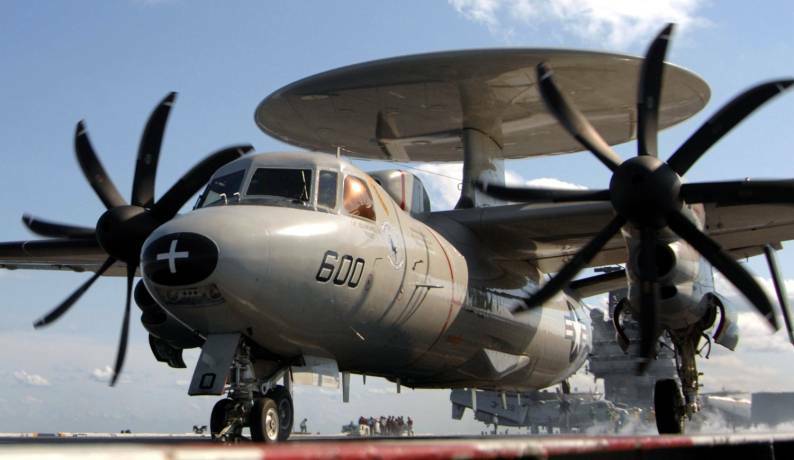 After departing Marseilles, the SEAHAWKS hosted French E-2C Hawkeyes for a day of carrier launch and recovery operations. 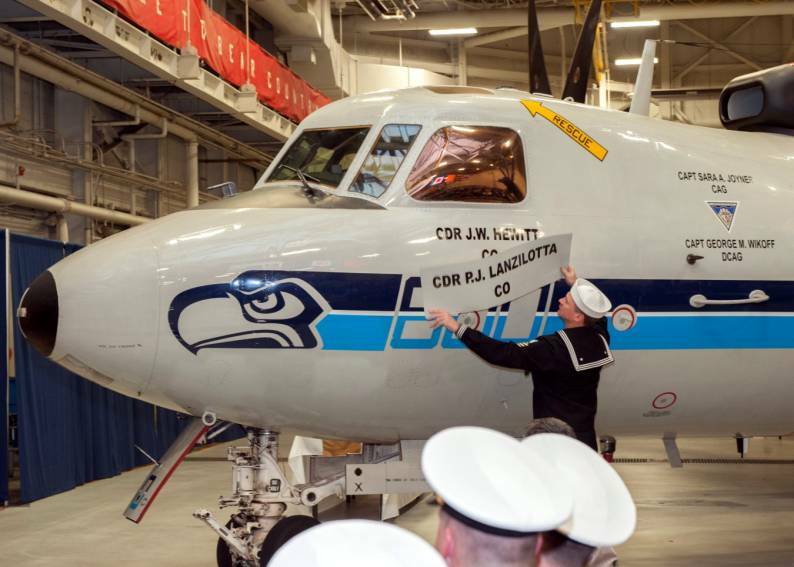 The SEAHAWKS returned home on June 4th, 2008, concluding another successful combat deployment and earning the squadron the CNAL Battle “E” Efficiency Award for FY 2008 and the RADM Akers AEW Excellence Award for CY 2008. 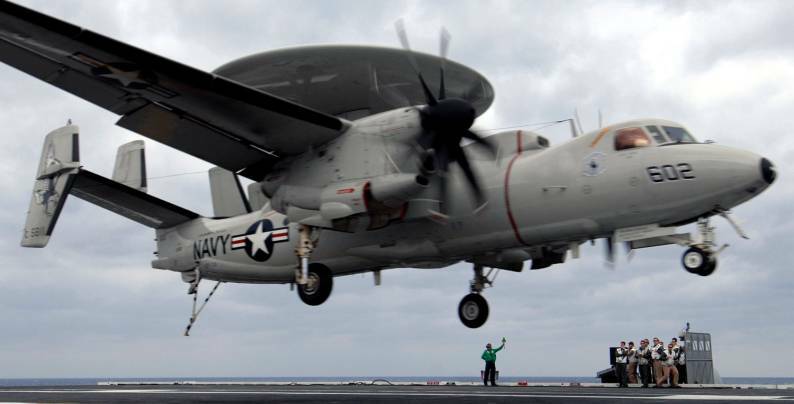 From June 2008 to February 2009, the SEAHAWKS participated in multiple events controlling fighters off the coast of Virginia in order to remain tactically proficient to become ready for the next set of deployment work ups. The SEAHAWKS had an incredibly busy and arduous year in 2009, as workups began. 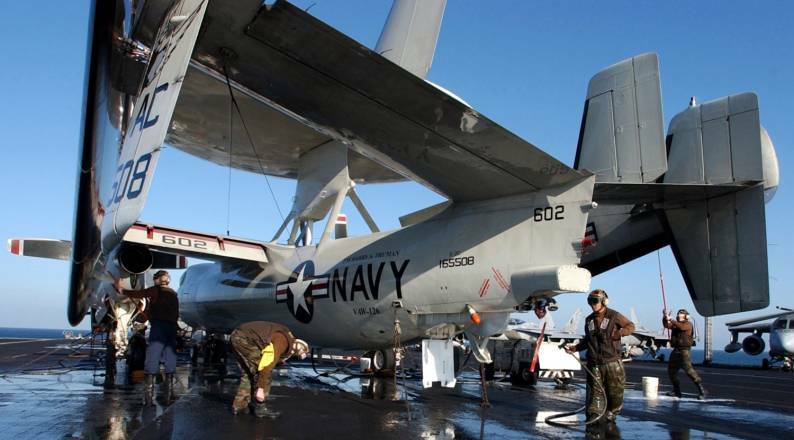 VAW-126 was getting ready for their next deployment by training in NAS Fallon and participating in TSTA, COMPTUEX, and JTFX aboard the USS HARRY S. TRUMAN (CVN 75). 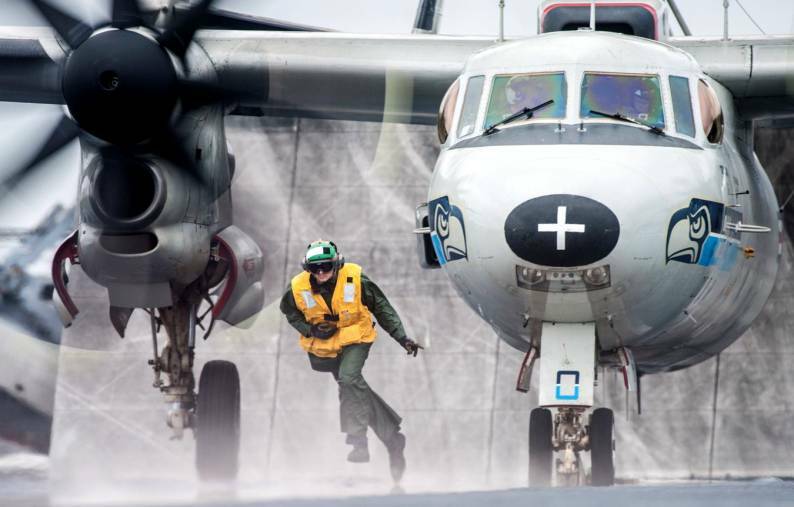 The SEAHAWKS were honing their operational skills and carrier landings in preparation for their upcoming deployment. On May 20th, 2010, the SEAHAWKS deployed onboard the USS HARRY S. TRUMAN (CVN 75), in support of Operations NEW DAWN and ENDURING FREEDOM. 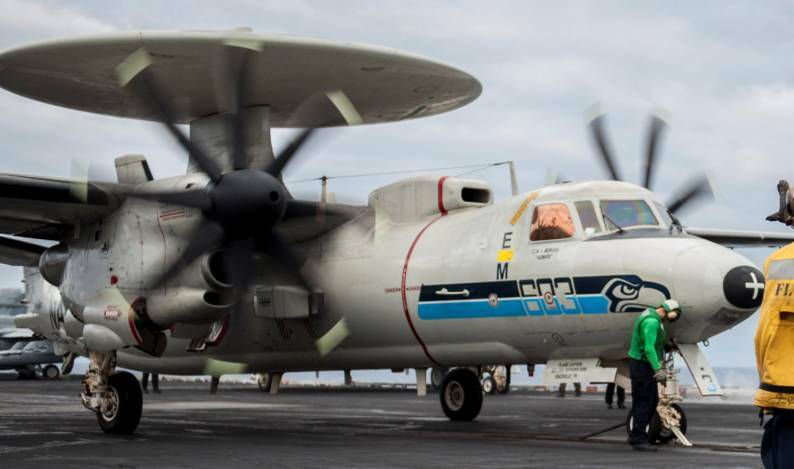 VAW-126 deployed for seven months supporting maritime security operations and theater security cooperation efforts in the U.S. FIFTH FLEET area of responsibility. This deployment included sustained operations over Iraq and Afghanistan in support of Army, Marine Corps, and coalition personnel on the ground. The SEAHAWKS enjoyed port visits in Marseilles, Dubai, Bahrain, and Souda Bay. Before stopping in Marseilles, the SEAHAWKS hosted French E-2C Hawkeyes for a day of carrier launch and recovery operations. The SEAHAWKS conducted 324 combat sorties accumulating over 1,520 flight hours in support of Operations ENDURING FREEDOM and NEW DAWN and were an integral part of CARRIER AIR WING THREE (CVW 3). The SEAHAWKS returned home on December 20th, 2010, concluding another successful combat deployment. They earned the CNAL Battle “E” Efficiency Award for FY 2010, the RADM Akers AEW Excellence Award for CY 2010, and the Safety “S” for CY 2010. 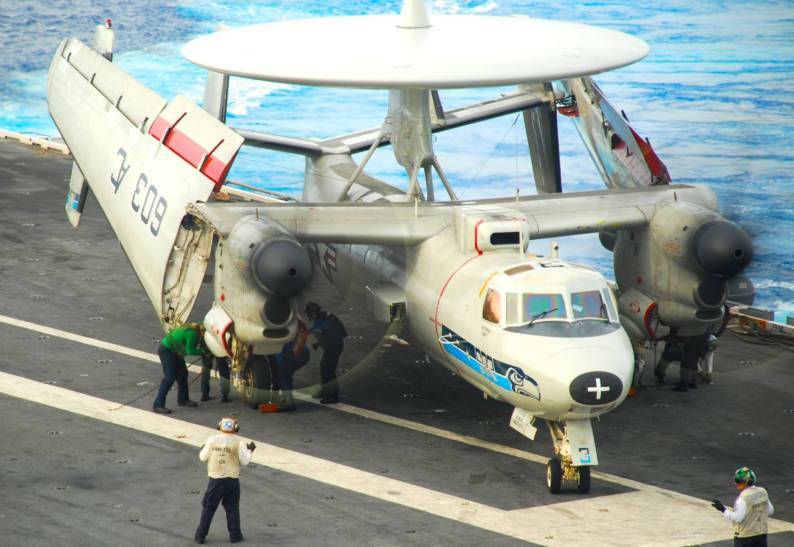 In 2011 the SEAHAWKS transitioned from the E-2C Hawkeye 2000 aircraft to the E-2C+ Group II aircraft. 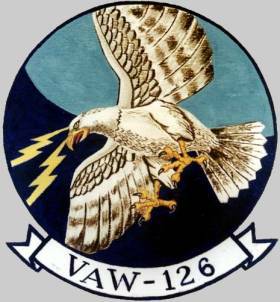 In June 2011 VAW-126 participated in FRUKUS, a maritime interoperability exercise with France, Russia, the United Kingdom, and the United States. 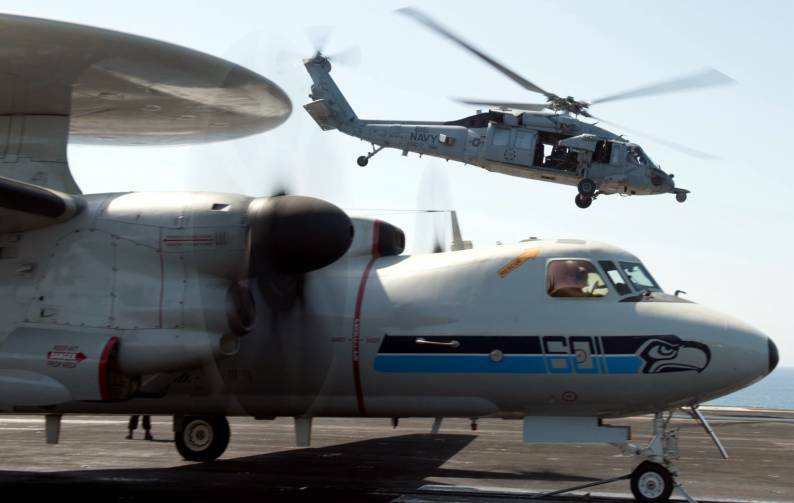 Later in the year the SEAHAWKS found themselves participating in Independent Deployers Certification Exercises (IDCERTEX) to verify interoperability among the Atlantic Fleet. By November the squadron would travel to Key West, Florida to participate in Exercise VIGILANT SHIELD, a Joint Deployable Integrated Air and Missile Defense (J-DIAMD) exercise. 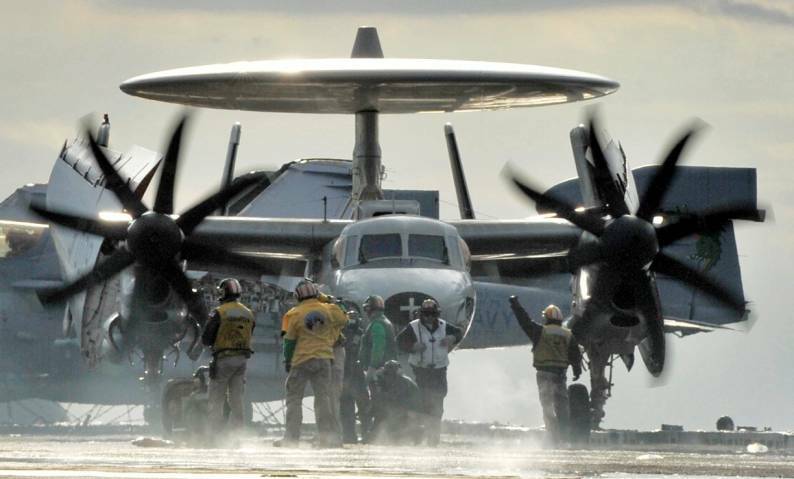 In April 2012 the SEAHAWKS would once again begin workups for an upcoming deployment. They would have a busy year participating in HARP, SFARP, TSTA, and Air Wing Fallon across the United States and aboard USS HARRY S. TRUMAN (CVN 75). 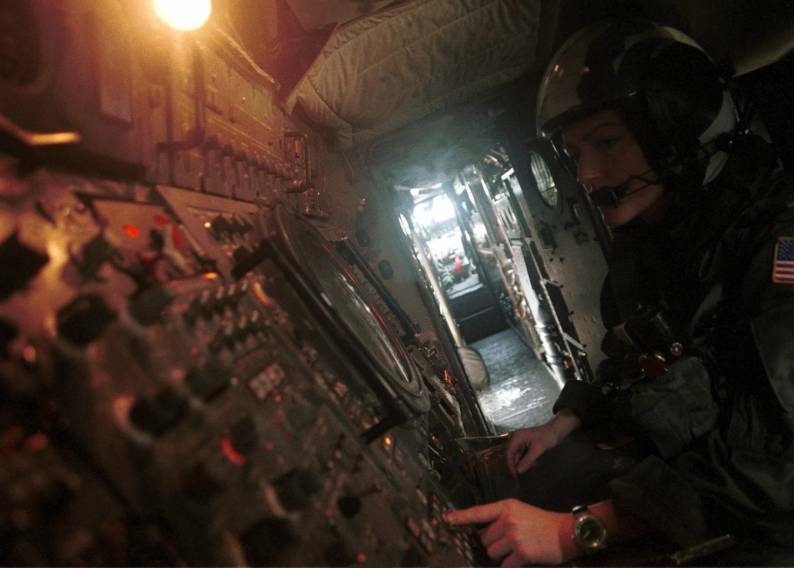 By the end of this year VAW-126 had finely honed their war fighting skills for the rapidly approaching deployment. As a final test of the air wing and battle group’s deployment readiness, 2013 would start with COMPTUEX. The SEAHAWKS’ February scheduled deployment would be delayed days before leaving. 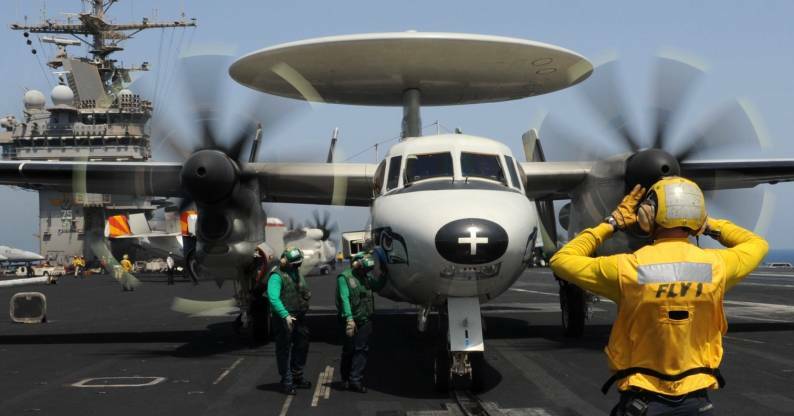 In order to maintain readiness VAW-126 would find themselves performing Sustainment Exercises (SUSTAINEX) and an additional COMPTUEX prior to leaving on deployment July 22nd onboard USS HARRY S. TRUMAN (CVN 75). The SEAHAWKS’ deployed for nine months in support of OPERATION ENDURING FREEDOM and maritime security operations and theater security in the U.S. FIFTH FLEET area of responsibility. During this period the squadron would lead multiple air defense exercises and sea strike exercises that involved both naval assets and other coalition forces. While deployed aboard USS HARRY S. TRUMAN (CVN 75), the SEAHAWKS had the unique opportunity to represent Carrier Air Wing THREE (CVW-3) as the sole aircraft to participate in the Dubai Air Show. 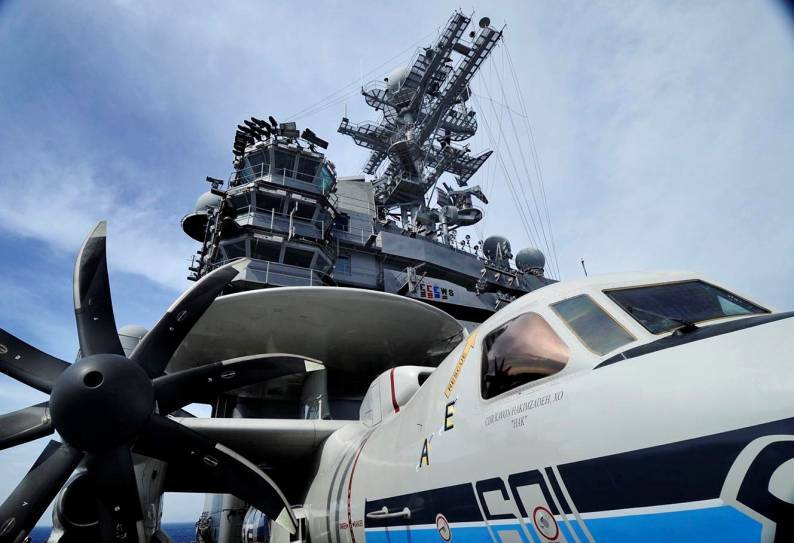 VAW-126 also seized the opportunity to support international relations by participating in multiple events with foreign nations. As a culmination of events the SEAHAWKS provided liaison officers to the French aircraft carrier the CHARLES DE GAULLE (R91) while hosting French liaison officers, greatly improving the working relations between the two nations. 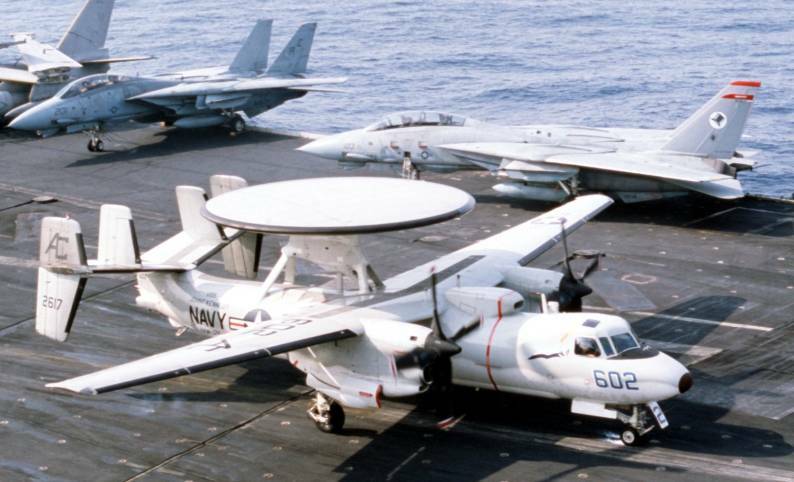 Additionally, the SEAHAWKS landed aboard the French carrier and became the first U.S. Navy Hawkeye aircrew to provide a mission brief to French Naval Aviators. The SEAHAWKS launched from the CHARLES DE GAULLE (R91) and controlled a large force exercise consisting of both French and U.S. Navy aircraft. During deployment the SEAHAWKS would enjoy port calls in Marseille, Dubai, Bahrain, and Palma de Mallorca. 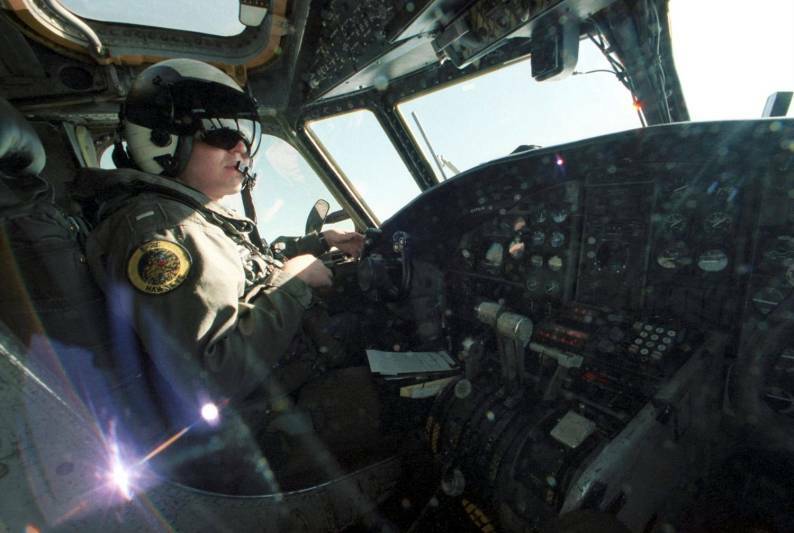 They conducted 665 sorties accumulating over 1,600 flight hours in support of OPERATION ENDURING FREEDOM and nearly 2,300 total flight hours as a key element to a successful deployment. The SEAHAWKS returned home from deployment on April 18th, 2014. While on deployment they earned the CNAL Aviation Battle Efficiency Award for FY 2013, the 2013 Medical Blue “M”, and the Retention Excellence Award.